Julian Voigt Aerial & Satellite Services - Digital Aerials, TV Aerials, Freeview, Freesat, Freesat HD, Sky TV, European Satellites, Servicing & Repairs, Aerial installations Bamber Bridge Preston. We cover the Preston region for Television Aerial & Satellite installations & Digital TV or Satellite TV System related enquiries issues or requirements. Julian Voigt Aerial and Satellite Services are fully qualified in all and every aspect of Digital Signal Reception installation/maintenance. Let professional aerial fitters do the hard work for you. Aerial fitting comes with a host of questions and considerations. Things like which aerial to use, how to get the best signal, and what about digital TV Aerials? Unless you already know the area inside out, it's unlikely that you'll know the answer to everything, and that's why it's best to let the professional aerial fitters do the hard work for you. 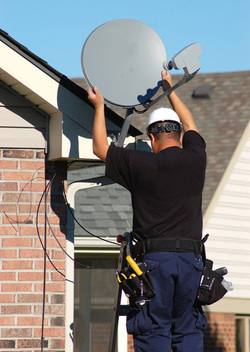 For Digital TV Aerial installations and all related services Julian Voigt Aerial and Satellite installations can and will provide a totally professional service for you. We have over 10 years experience in every type of TV system installations. From fault finding to full installations we are fully qualified. Having a new television aerial installed on your property requires a lot more than just guess work..... That's why all our TV Aerial Installers are fully trained and have the right tools necessary to complete any new aerial installation to the highest of standards.We offer a broad range of television aerials to obtain the best signal possible, even for those properties in extremely poor signal area's. Don't worry if you don't know which aerial you need for your home, one of our aerial installers will discuss the options available to obtain good digital reception, and provide a free quotation to supply a new television aerial at your property. Trusted: We can be trusted to find you the most cost effective solution to your Aerial related need. Unfortunately there are people out there who will try and get as much money out of a job as they can, even conning the householder into believing that they need to hove more work done than is necessary. Here at www.jcvaerials.com/preston-tv-aerial-and-satellite-installations we will not only offer you the very best Aerial related advice, but will also give you the best price and service out there!!! We offer free quotations for all new TV aerial installations, and can usually attend your property on the same day. Our TV aerial installers carry everything required to carry out an aerial installation at your home, and should you wish, can have your aerial system fully installed and configured during the same visit. Watch your favourite TV in glorious high definition with free HD channels from BBC One HD, BBC HD, ITV1 HD (STV HD in Scotland) and Channel 4 HD.With HD you can watch the UK's favourite TV with up to 5 times clearer picture quality than standard definition. Never miss a moment - pause live TV. Freeview+ lets you pause the show you're watching. Simply press the pause button on the Freeview+ remote control, and then pick up where you left off by pressing play. You can also rewind the channel you are watching to see something again. Your favourite show will be waiting for you with series record - Freeview+ lets you build your own 'box-set' of your favourite show at the touch of a button.Simply locate the show you want to record from your onscreen TV guide. Using the arrow keys, highlight the show and you will be asked if you want to record the whole series. 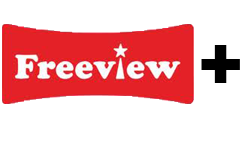 Have you already got Freeview, but are experiencing some problems? Call us today on the number above. Freeview Digital Aerial Fitter, Aerials, Freeview Aerials, Aerials for Freeview, TV Aerials, installation of Aerials. Satellite Dish Services for Bamber Bridge & the surrounding areas. 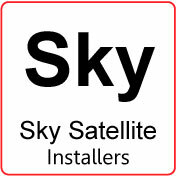 Julian Voigt Aerialand Satellite Services are fully qualified and certified independent SKY installers. 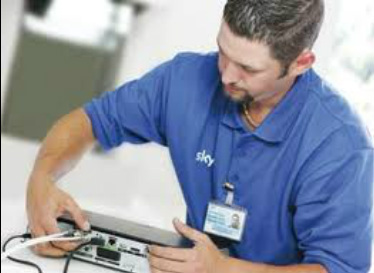 So for all sky TV related enquiries, such as SKY+ installation SKY HD installation, SKY Multi room installations etc we are more than qualified to provide you with the right advice and service. Have even the High Access team been unsuccessful in fitting you the sky system? This sometimes can happen due to the limits and restraints sky put on their own engineers. In 9 out of 10 cases we can fit and install the sky Dish and system, where SKY have refused to do so. See our very unique way of getting a cable over a normally inaccessible apartment roof! LCD Plasma TV installations & Wall Mounting your Flat Screen TV. Here at Julian Voigt Aerial & Satellite, we can install , and tune your new LCD or Plasma TV to your Digital Aerial or Satellite system or even both, as well as providing a Wall mounting service too. When it comes to wall mounting a Flat Screen TV correctly, you need both the tools and experience to get it lined up perfectly. So for what it's worth leave that job to the Professionals. Well you would be interested in Freesat! Freesat is a free-to-air digital satellite television joint venture between the BBC and ITV plc, serving the United Kingdom and offers a satellite alternative to the Freeview service on digital terrestrial television, with a selection of channels available without subscription for users purchasing a receiver. We are able to install and provide Freesat, Freesat+ & Freesat HD. Sick of having to pay a monthly subscription to sky or virgin, this is a great solution. Aerial & Satellite Installations for Bamber Bridge Preston. We are CRB checked, Public Liability Insured and house trained! (we cover our boots & and clear up any mess). See our gallery images! can be sure we don't charge BIG prices! pay- NO hidden extras with us! All Our work is fully Guaranteed and our Satellite Dishes & our Digital Aerials come with a 5 Year Guarantee! TV Aerial Fitters Bamber Bridge, Preston. Television Aerial Installations Bamber Bridge, Preston - Aerial Fitter Bamber Bridge.